Uhlsport reintroduce the very popular finger surround cut for 2017. The cut was one of the most loved options in the range when it was introduced a few years back. It has now returned with a fantastic color way and the wonderful absolutgrip latex. 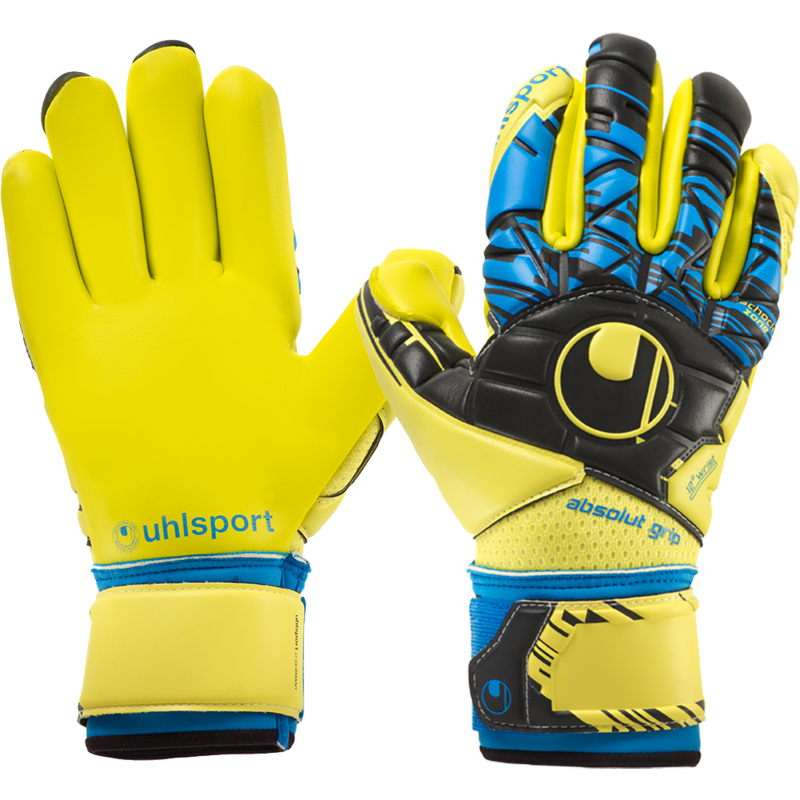 This Uhlsport goalkeeper glove features the superb absolutgrip for better grip and durability. This patented exlusive Uhlsport foam is tuned for the demands of professional keepers. Full 3D embossed latex for extreme comfort and feel. The backhand also features Uhlsport ShockZone for protection when punching. Finger Surround cut for tight fitting and perfect surround grip. The thumb features a flexible construction with wrap around latex. 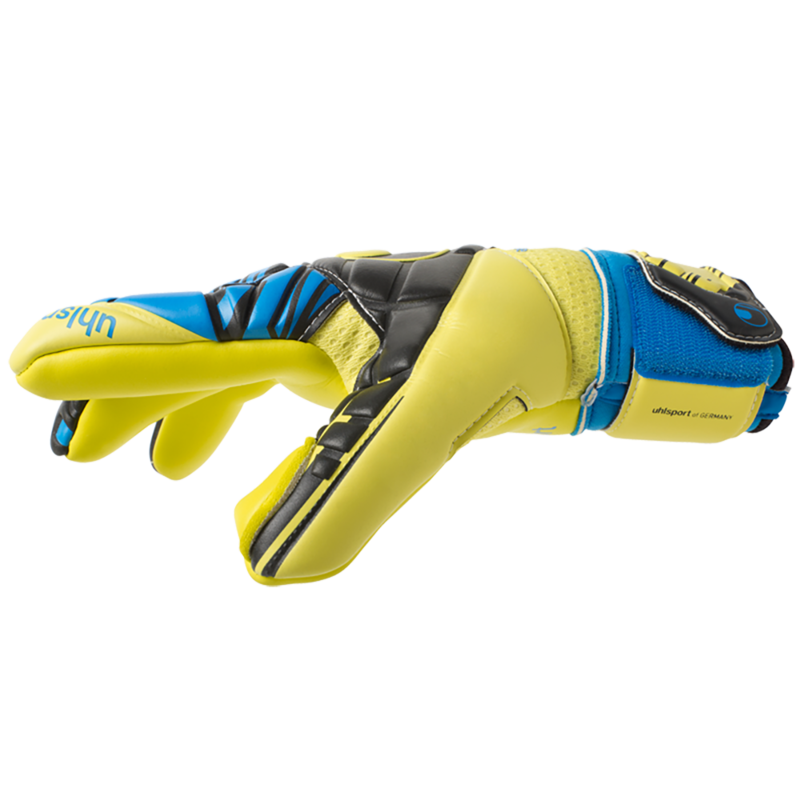 If you prefer a tighter feel from your goalkeeper gloves or you have slender hands, these gloves will be perfect for you. Feels like a custom fit. This goalkeeper glove is an excellent option for female goalkeepers who need a more slender cut glove. Top level goalkeepers who love a snug fit. Perfect glove for female goalkeepers too.